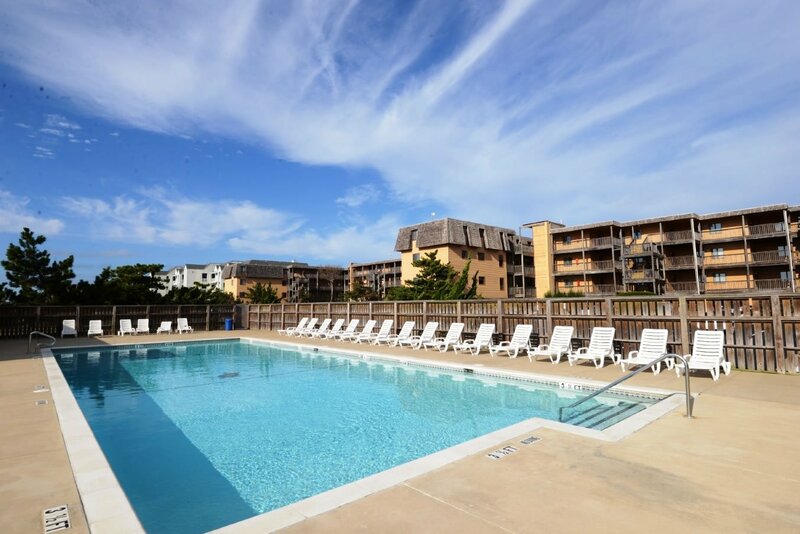 This comfortable 3 bedroom Oceanfront condo is a great choice for your family visit to the Outer Banks. 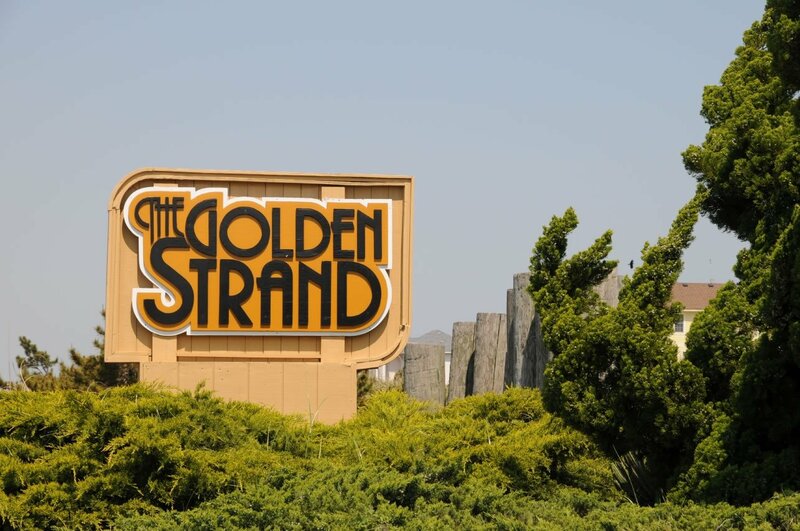 Very well-equipped & great Ocean Views will keep you coming back time after time & w/ all of the amenities the Golden Strand has to offer, there will be little time to spare. 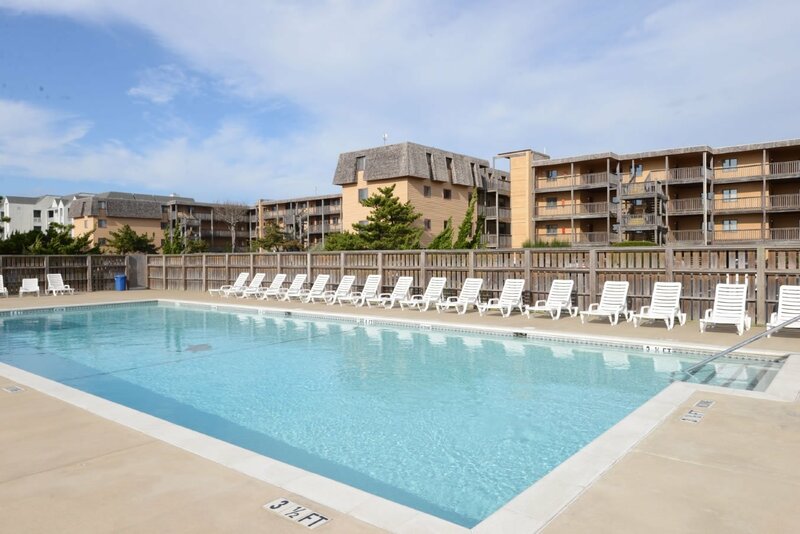 Located on the elevated first floor, this unit is close to the beach walkway so getting to the water is a snap. 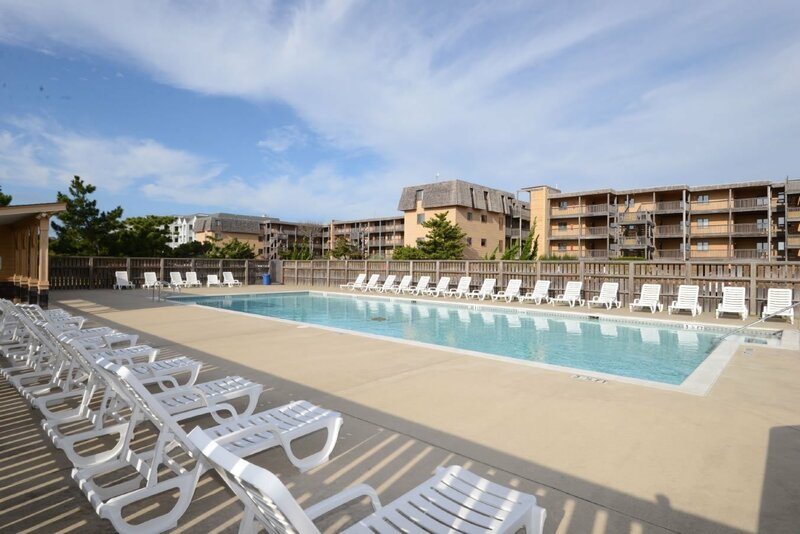 Enjoy the Huge Gated Community Pool & Kiddie Pool, Elevator w/Luggage Carts, Gated Playground, & Picnic Area w/Tables & Charcoal Grills. 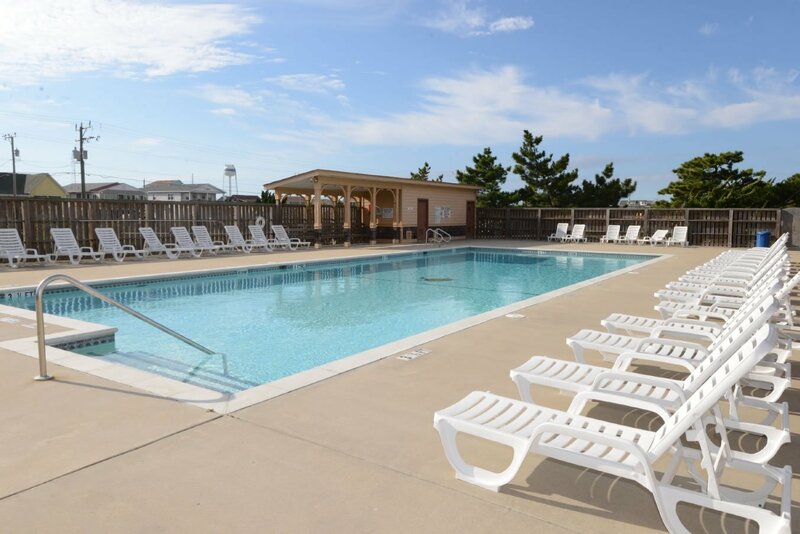 ALSO, All Guests of the Golden Strand have Free Use of the Facilities at the OBX Sports Club, for details visit www.obxsportsclub.com or call them at (252) 441-8361. 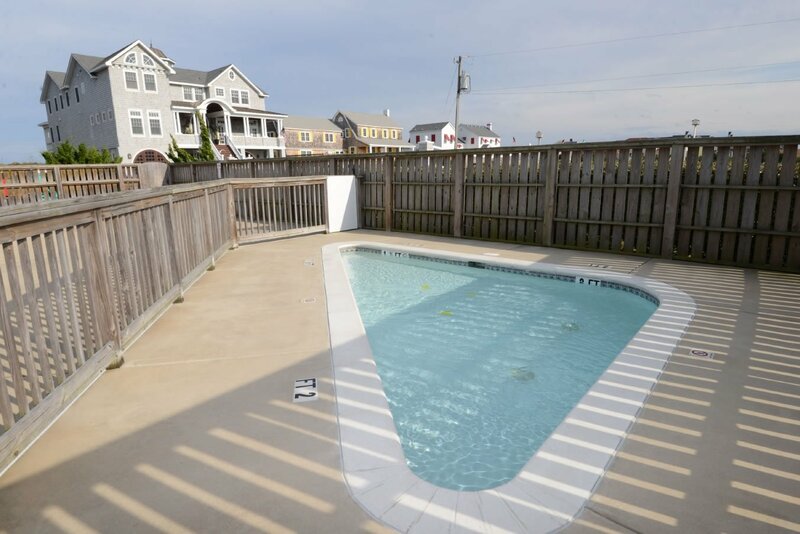 Main Level: Living/Dining/Kitchen Area, Wet Bar, 3 Bedrooms (1 Master Suite w/Queen, Flat Screen TV, DVD, Full Bath w/Tub & Shower, 1 w/Queen, & 1 w/2 Singles), Full Shared Bath w/Tub & Shower, & a Covered Deck Facing the Ocean. 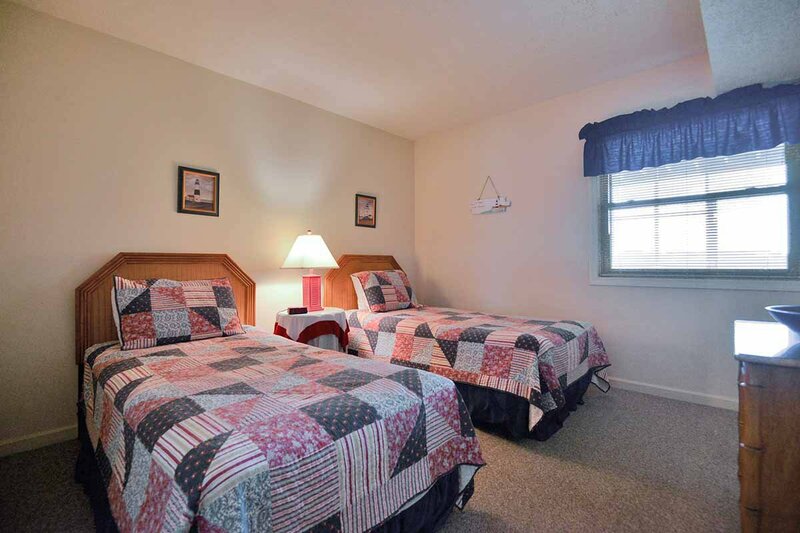 Features include: C/AC & Heat, Washer/Dryer (On-site), Dishwasher, Microwave, 2 Flat Screen TVs, 2 DVDs, & Wireless Internet. No Pets. This is a Non-Smoking Unit. We were very comfortable in your condo during our stay! 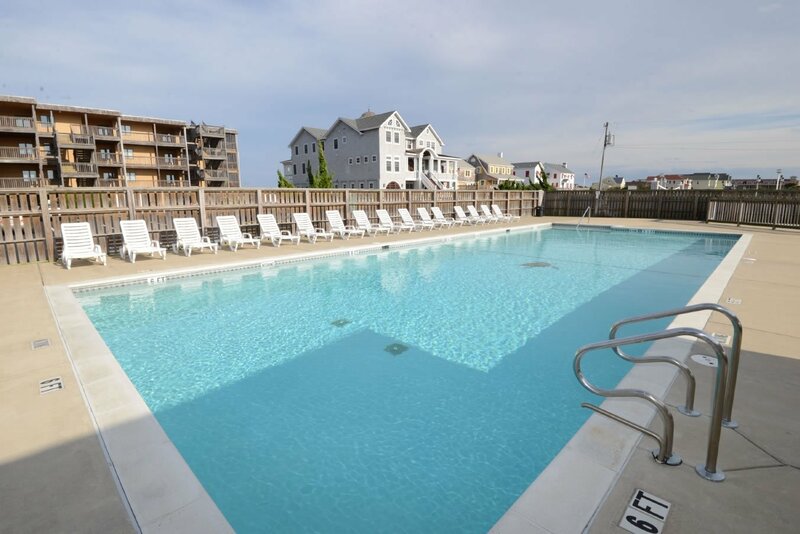 We loved the beachy feel and the ocean views! The layout of the condo is great. It is the perfect location. My family enjoyed the pool. 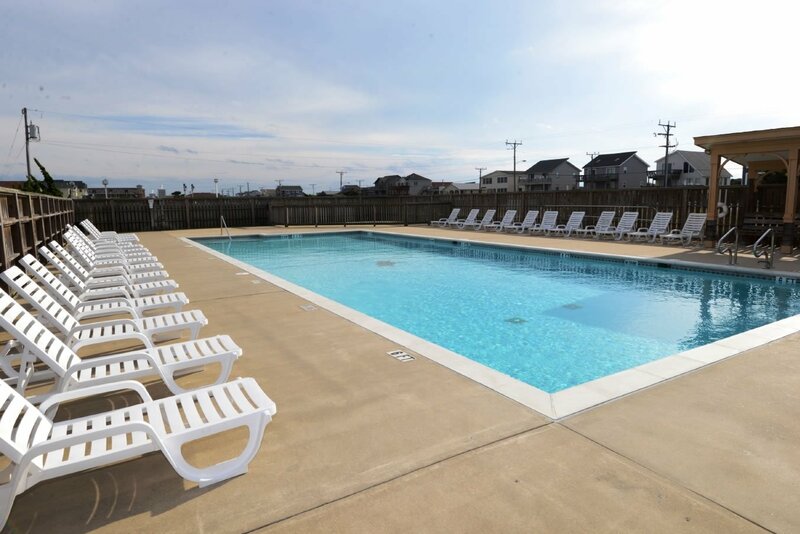 The pool area was clean. I noticed the upgrade in the playground area. Easy access to the beach was great. The laundry facility was new and nicely appreciated. I liked not having to pay for laundry. We thoroughly enjoyed our stay in the condo. 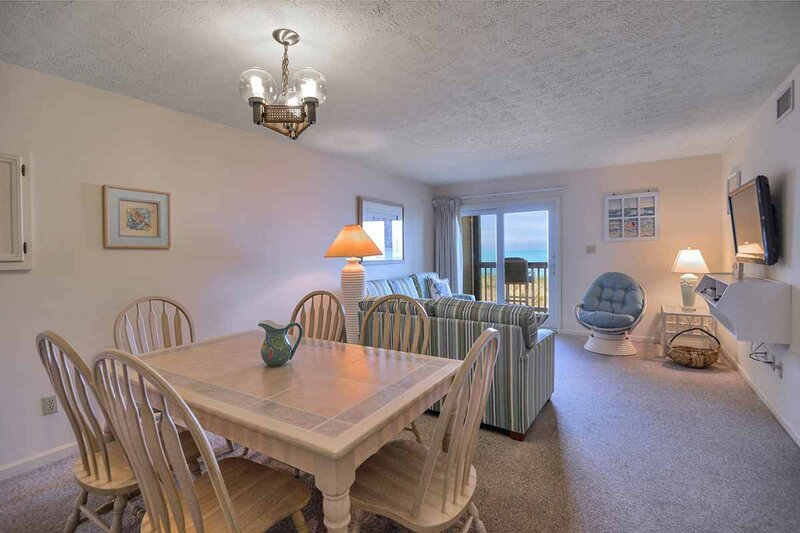 The screened in porch is such an advantage for a beach stay!